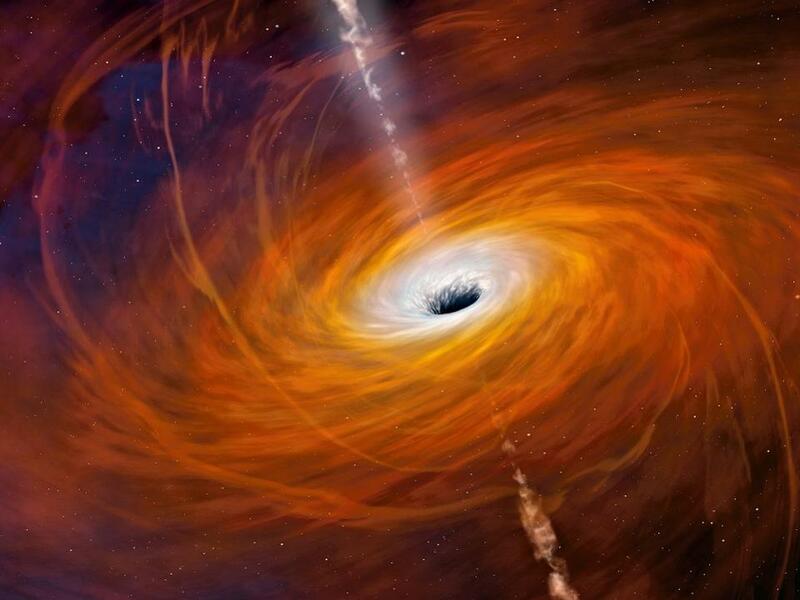 Black holes are some of the most incredible objects in the Universe. There are places where so much mass has gathered in such a tiny volume that the individual matter particles cannot remain as they normally are, and instead collapse down to a singularity. Surrounding this singularity is a sphere-like region known as the event horizon, from inside which nothing can escape, even if it moves at the Universe's maximum speed: the speed of light. While we know three separate ways to form black holes, and have discovered evidence for thousands of them, we've never imaged one directly. Despite all that we've discovered, we've never seen a black hole's event horizon, or even confirmed that they truly had one. Next year, that's all about to change, as the first results from the Event Horizon Telescope will be revealed, answering one of the longest-standing questions in astrophysics. The idea of a black hole is nothing new, as scientists have realized for centuries that as you gather more mass into a given volume, you have to move at faster and faster speeds to escape from the gravitational well that it creates. Since there's a maximum speed that any signal can travel at — the speed of light — you'll reach a point where anything from inside that region is trapped. The matter inside will try to support itself against gravitational collapse, but any force-carrying particles it attempts to emit get bent towards the central singularity; there is no way to exert an outward push. As a result, a singularity is inevitable, surrounded by an event horizon. Anything that falls into the event horizon? Also trapped; from inside the event horizon, all paths lead towards the central singularity.Practically, there are three mechanisms that we know of for creating real, astrophysical black holes. When a massive enough star burns through its fuel and goes supernova, the central core can implode, converting a substantial fragment of the pre-supernova star into a black hole. When two neutron stars merge, if their combined post-merger mass is more than about 2.5-to-2.75 solar masses, it will result in the production of a black hole. And if either a massive star or a cloud of gas can undergo direct collapse, it, too, will produce a black hole, where 100% of the initial mass goes into the final black hole.Over time, black holes can continue to devour matter, growing in both mass and size commensurately. 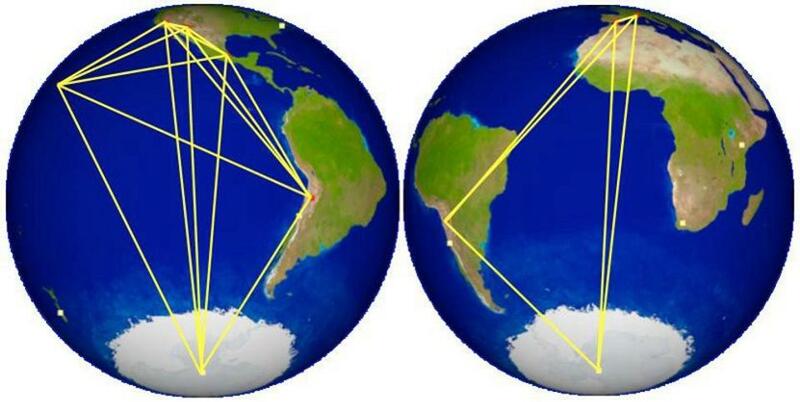 If you double the mass of your black hole, its radius doubles as well. If you increase it tenfold, the radius goes up by a factor of ten, also. This means that as you go up in mass — as your black hole grows — its event horizon gets larger and larger. 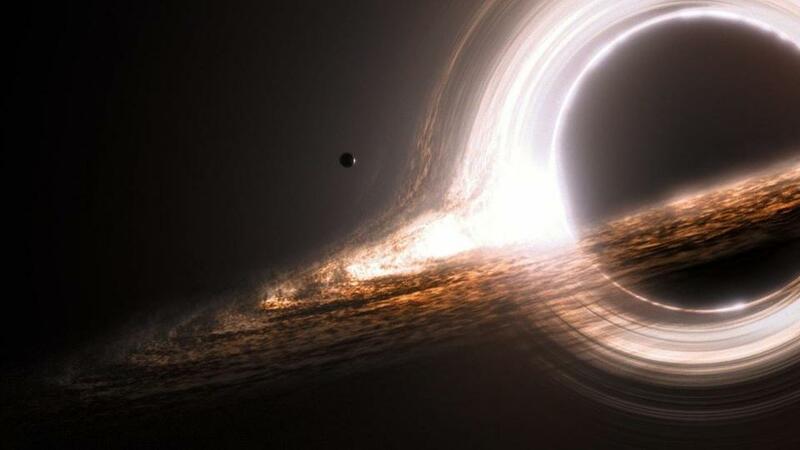 Since nothing can escape from it, the event horizon should appear as a black "hole" in space, blocking the light from all objects behind it, compounded by the gravitational bending of light due to the predictions of General Relativity. All told, we expect the event horizon to appear, from our point of view, 250% as large as the mass predictions would imply.Whatever we do (or don't) wind up discovering, we're poised to make an incredible breakthrough simply by constructing our first-ever image of a black hole. No longer will we need to rely on simulations or artist's conceptions; we'll have our very first actual, data-based picture to work with. If it's successful, it paves the way for even longer baseline studies; with an array of radio telescopes in space, we could extend our reach from a single black hole to many hundreds of them. If 2016 was the year of the gravitational wave and 2017 was the year of the neutron star merger, then 2018 is set up to be the year of the event horizon. For any fan of astrophysics, black holes, and General Relativity, we're living in the golden age. What was once deemed "untestable" has suddenly become real.